This weeks column starts on a sad note ... Jim Cornette lost his Mom last week. Please remember them in your prayers. As a child of the 50's, I grew up on TV heroes like Superman, The Lone Ranger, Roy Rogers, The Three Stooges, Abbott & Costello and Hopalong Cassidy. 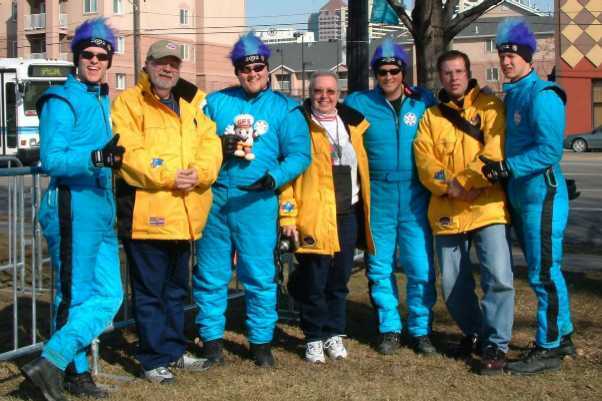 Hoppy taught us all a good measure of life and left a valuable imprint in my mind. The following story takes the place of this week's column, and I appreciate Rob Moore letting me do different things from time to time as a break in time. I certainly hope that if you enjoy this, let me know, and I will do more in the future. Turn back your clocks 50 years, stand still and let your memories remember HOPALONG CASSIDY. In the summer of 1949, television was still the piece of furniture you got invited over to the neighbor's house to stare at. There were adult programs like Kraft Television Theater and The Goldbergs. There was also Burr Tillstrom's Kukla, Fran and Ollie, which appealed to the kid in all of us. But sports events, like Gillette-sponsored Boxing and Wrestling from the Chicago Amphitheater were broadcast nationwide. Also dominating the airwaves prior to cable were quiz shows and test patterns. This was the TV landscape into which Hopalong Cassidy galloped on Friday evening, June 24th, three months before The Lone Ranger and three days ahead of Captain Video. Dressed in black from booted toe to ten-gallon hat and riding a beautiful snow white horse, Hoppy warmed hearts chilled by cold war fears. Virtually overnight, the silver-haired cowboy established himself as America's first true television hero. Within three months, more people were watching Hoppy than Arthur Godfrey. Within a year, he had eclipsed both Ed Sullivan and Groucho Marx. Hoppy and his sidekicks were based on characters drawn from Western novels written by Clarence Mulford, whose first trip west of the Mississippi came only after publication of his 18th book. William Boyd, who had been a silent picture romantic lead, played Hopalong Cassidy, the brave rancher who championed honesty, justice and morality in the Old West. Tall, with chiseled features and platinum hair radiated authority leavened by a warm, engaging smile. Boyd's Hoppy was as wise as he was no-nonsense. Foreman of the Bar 20 Ranch, the sharp thinking, hard riding sleuth tirelessly pursued a host of unsavory hombres, from cattle rustlers to murderers and lusters after GOLD. Hoppy often reminded his foes, "Don't hurry, boys ... the only place you're going is prison." Hoppy always ended up the victor and placed an image in the minds of viewers to do right and lead a good life. Parents actually urged their children to watch Hoppy, hoping that his honesty, respect for others and patriotism might rub off. In time, Boyd would be inundated with phone calls from moms and dads begging him to tell little Bob and Sue to brush their teeth or to take their spurs off before going to bed. At police stations, truant youths were taken in tow by officers who asked, "Now ... What would Hoppy say about that?" It wasn't just Boyd's complexion that rounded up American TV viewers like so many cowboys. Hoppy was a comfort giver like a teddy bear or a blanket. He was perceived as fatherly, even grandfatherly, and he took care of people; he made us feel that he would be a good person to have on our side. The original script for one of the Hoppy movies called for him to smoke, drink, limp and wear a mustache. Boyd kept the limp for that film but turned the profane character into a clean-shaven, sarsaparilla-swigging dude that spouted cowboy grammar. Boyd turned Cassidy into the indelible character he became. It was Boyd's idea to dress Hoppy in black in contradiction to the conventional hero dressed in white hat, arm him with two pearl handled six-shooters, and have him ride a pure white horse named Topper. Topper was treated like a star behind the scenes. He even had his own specially built trailer that he traveled to special appearances in. Besides his horse, Hoppy had a few sidekicks of notable fame, the first being George "Gabby" Hayes, who was known by the handle "Windy." 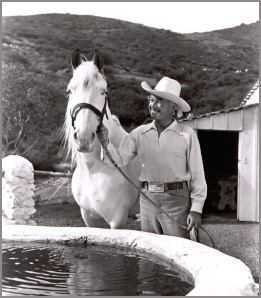 Gabby was also John Wayne's sidekick, and he even traveled with Roy Rogers. Also at Hoppy's side was a character named "California," an ex-Keystone Kop of silent films by the name of Andy Clyde. He was like a small kid never making his own judgment calls. Boyd was a businessman as well in that he bought up the rights in the late 30's to the films that he had made under the Hoppy banner. It left him very financially broken at the time, but he hung in and held on to the rights. When he signed a deal with NBC in 1948, Hoppy was paid a very big amount of money for use of the Hoppy movies. He also was paid royalties from the sale of Hoppy endorsed items ranging from milk to saddle chaps. Bill Boyd did well from that day forward, and he laughed all the way to the bank. I became that man and I loved him. Hoppy was the good side of Bill Boyd." 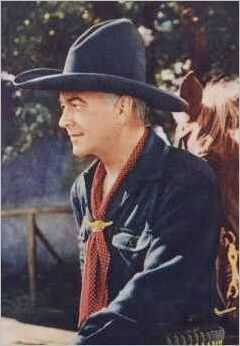 In 1972, William "Hopalong Cassidy" Boyd died of a brain tumor. I have many videos of Hoppy's movies with his various sidekicks that bring back many memories. I still enjoy watching them over and over again. Their motive is what inspired a lot of young men to take the right side of life and make a future out of it. Yes ... he was one of my role models ... and I am glad he was there for me.